If you own an Apple® iPhone device, chances are you’ve snapped a photo that didn’t come out so well. Offset skin tones, poor white balance and low contrast are all culprits of photo corruption on even the newest iPhone models. With exciting rumors buzzing about the iPhone 7® device, said to come fully equipped with dual cameras and a larger battery, it may be time to learn some tips and tricks on how to maintain and repair broken iPhone device’s camera. These software-related issues and more can also occur on other phone models, so it’s beneficial for all iPhone device owners to educate themselves. If these quick fixes do not solve the issues with your iPhone device’s camera and its images, then you may need to come in so we can thoroughly examine your device and make a recommendation for you. 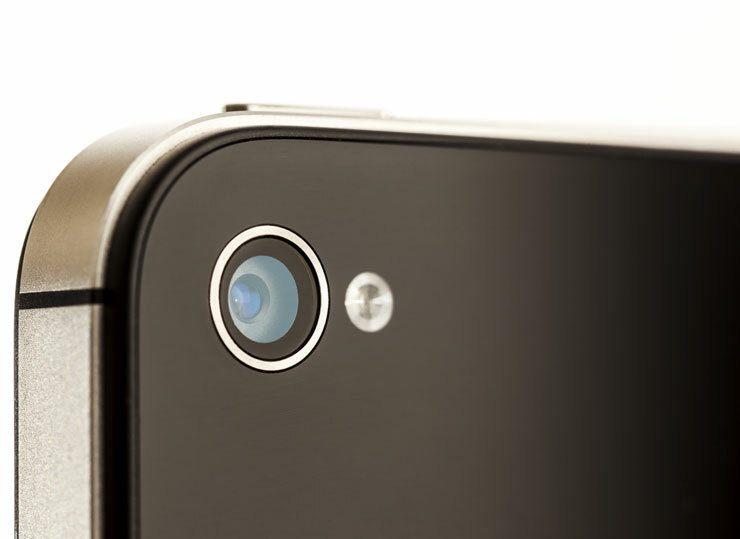 If your iPhone device’s camera stops working altogether, come in to one of our locations. Experimac San Antonio offers affordable phone repairs, upgrades and replacements. With same day service, we can often fix your device while you wait. Experimac has a 90-day warranty on all repairs and stocks only the highest quality parts. Being proactive can make all the difference in getting a quick repair versus having to replace your iPhone device. If you have an iPhone device, you might have had something go wrong with it at some point. Maybe the battery drained quickly, the screen cracked, or something inexplicable went wrong with the hardware. When these things happen, iPhone device owners may have a hard time deciding whether to get the device repaired, or to try to resolve the problem themselves. The best approach to take when your iPhone device gets damaged is to turn to a qualified, professional repair shop like Experimac Bend. Doing so will ensure that the problem will be properly diagnosed and the damage will be pinpointed and repaired in a cost-effective manner. Unfortunately, while it may be tempting to look up fixes online and attempt to fix the device yourself, you may end up causing even more damage costing you more money in the long run. When you bring your damaged iPhone device in, Experimac Bend expert technicians will run a full diagnostic scan of the device to make sure they locate the exact problem. They will then begin repairing your device in a timely manner, often having the device ready for you the same day or even the same hour. We know how important your iPhone device is to your daily life, and we don’t want you to be without it any longer than is necessary. That’s why we pride ourselves on offering while you wait and same day repair services. Once your device is properly repaired, our technicians will answer any questions you may have about preventing future damage or caring for your device. At Experimac Bend, we take pride in having the best customer service in the business, and will be happy to address any concerns you have before you leave our store. We also offer a 90-day warranty on all our repairs, so if something gets damaged, we will repair or replace the defective part at no cost to you. If your iPhone device has a damaged battery, charging port, or anything else is not functioning properly, bring it in to Experimac Bend today. We will have it repaired and in working condition quickly and will help to prolong the longevity of your device. Whether you have a Samsung smartphone or tablet or an iPhone® device or iPad® tablet, you know one thing for sure: their screens are fragile, and repairing them can be a frightening prospect. That’s probably why you see so many people walking around with cracked or even shattered screens on their tablets and smartphones. But repairing a cracked screen does not have to be frightening if you turn to a reputable repair store like Experimac North Las Vegas. The screen repair process for Apple devices and Samsung devices are somewhat different, and both intricate, which is why you should not attempt it on your own. When an Apple device needs repair, the display assembly is the first component that is disassembled. This makes accessing and repairing the screen fairly straightforward. However, other components can be easily damaged in the process, so removing the screen on your own is not recommended. Samsung devices also require meticulous disassembly to avoid damage to pertinent materials, so repair is best left in the hands of experts. When you bring in your damaged Apple device or Samsung device for screen repair to Experimac North Las Vegas, you can rest assured that the problem will be properly diagnosed. Our experts will run a full diagnostic scan of the device and carefully disassemble only what is necessary. The damage will be pinpointed and repaired in a cost-effective and timely manner. Often, your tablet or smartphone device will be ready for you the same day or even within the same hour because at Experimac North Las Vegas, we know how important your device is to your daily life, and we don’t want you to be without it any longer than is necessary. After your device is properly repaired, our technicians will guide you in preventing future damage and will be happy to address any concerns you have. We pride ourselves in offering the best customer service in the business so we also offer a 90-day guarantee on all of our repairs. If something on your repaired device gets damaged, we will repair or replace the defective part at no cost to you. 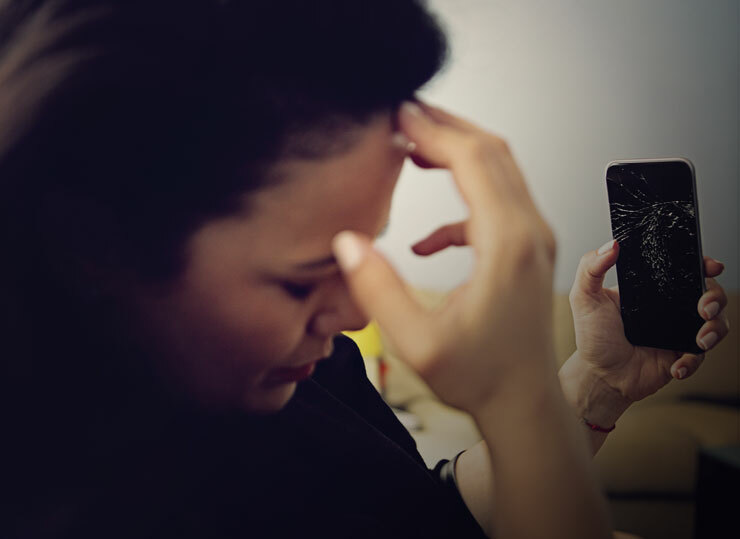 Cracked screens happen but at Experimac North Las Vegas, we want to make sure that damage doesn’t end the life of your Apple device or Samsung device. Whether you have a Samsung smartphone or tablet or an iPhone® device or iPad® tablet, you know one thing for sure: their screens are fragile, and repairing them can be a frightening prospect. That’s probably why you see so many people walking around with cracked or even shattered screens on their tablets and smartphones. But repairing a cracked screen does not have to be frightening if you turn to a reputable repair store like Experimac Orlando. When you bring in your damaged Apple device or Samsung device for screen repair to Experimac Orlando, you can rest assured that the problem will be properly diagnosed. Our experts will run a full diagnostic scan of the device and carefully disassemble only what is necessary. The damage will be pinpointed and repaired in a cost-effective and timely manner. Often, your tablet or smartphone device will be ready for you the same day or even within the same hour because at Experimac Orlando, we know how important your device is to your daily life, and we don’t want you to be without it any longer than is necessary. Cracked screens happen but at Experimac Orlando, we want to make sure that damage doesn’t end the life of your Apple device or Samsung device. The best approach to take when your iPhone device gets damaged is to turn to a qualified, professional repair shop like Experimac Columbia. Doing so will ensure that the problem will be properly diagnosed and the damage will be pinpointed and repaired in a cost-effective manner. Unfortunately, while it may be tempting to look up fixes online and attempt to fix the device yourself, you may end up causing even more damage costing you more money in the long run. When you bring your damaged iPhone device in, our Experimac Columbia expert technicians will run a full diagnostic scan of the device to make sure they locate the exact problem. They will then begin repairing your device in a timely manner, often having the device ready for you the same day or even the same hour. We know how important your iPhone device is to your daily life, and we don’t want you to be without it any longer than is necessary. That’s why we pride ourselves on offering while you wait and same day repair services. Once your device is properly repaired, our technicians will answer any questions you may have about preventing future damage or caring for your device. At Experimac Columbia, we take pride in having the best customer service in the business, and will be happy to address any concerns you have before you leave our store. We also offer a 90-day warranty on all our repairs, so if something gets damaged, we will repair or replace the defective part at no cost to you. If your iPhone device has a damaged battery, charging port, or anything else is not functioning properly, bring it in to Experimac Columbia today. We will have it repaired and in working condition quickly and will help to prolong the longevity of your device. Have you ever experienced the Home button on your iPhone device or iPad tablet not working? 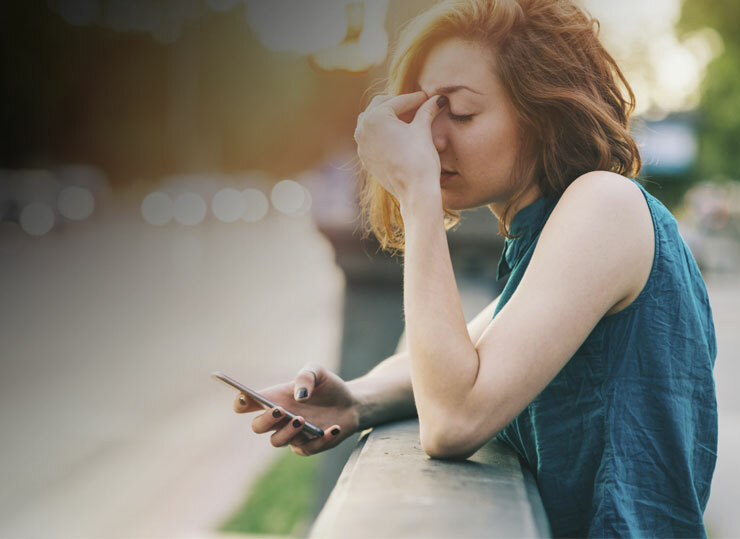 Processing delays and lags can cause unresponsive behavior, leading to several unsuccessful attempts to return to the Home screen. If you’re trying to get a quick glance at a map or switch over to read a text message and your controls are not registering input, properly, it might be time to recalibrate your device. Our expert technicians here at Experimac Canton are eager to help you solve this problem. The extent of the problem may require hardware repairs from a local repair shop like Experimac of Canton. Trying to repair the hardware yourself can be tricky, and can sometimes complicate the situation further. An interesting software workaround is based on an iOS® software feature that steps in to help when hardware buttons stop working. The switch to activate the AssistiveTouch® feature is located in your settings. If you’re a do-it-yourself kind of person, follow these simple steps below to resolve an unresponsive Home button issue. Launch any iOS app that comes pre-installed on your device (i.e. weather). Press and hold down the Power button on the top right of your device until the “slide to power off” message appears on the screen. Releasing the power button, press and hold the Home button until the “slide to power off” message disappears from the screen. Process complete! The Home button should be functioning normally now. Oscillating between whether or not to fix this problem or locate a local Apple® technician? There’s a better option! Experimac Canton is here for those who prefer a little assistance and an expert’s touch. Bringing in your iPhone device or iPad tablet today can make all the difference in getting a quick repair at an affordable repair cost versus having to replace your device, entirely. Have you ever experienced the Home button on your iPhone device or iPad tablet not working? Processing delays and lags can cause unresponsive behavior, leading to several unsuccessful attempts to return to the Home screen. If you’re trying to get a quick glance at a map or switch over to read a text message and your controls are not registering input, properly, it might be time to recalibrate your device. Our expert technicians here at Experimac Huntersville are eager to help you solve this problem. The extent of the problem may require hardware repairs from a local repair shop like Experimac of Huntersville. Trying to repair the hardware yourself can be tricky, and can sometimes complicate the situation further. Oscillating between whether or not to fix this problem or locate a local Apple® technician? There’s a better option! Experimac Huntersville is here for those who prefer a little assistance and an expert’s touch. Bringing in your iPhone device or iPad tablet today can make all the difference in getting a quick repair at an affordable repair cost versus having to replace your device, entirely. The best approach to take when your iPhone device gets damaged is to turn to a qualified, professional repair shop like Experimac Orlando. Doing so will ensure that the problem will be properly diagnosed and the damage will be pinpointed and repaired in a cost-effective manner. Unfortunately, while it may be tempting to look up fixes online and attempt to fix the device yourself, you may end up causing even more damage costing you more money in the long run. When you bring your damaged iPhone device in, our Experimac Orlando expert technicians will run a full diagnostic scan of the device to make sure they locate the exact problem. They will then begin repairing your device in a timely manner, often having the device ready for you the same day or even the same hour. We know how important your iPhone device is to your daily life, and we don’t want you to be without it any longer than is necessary. That’s why we pride ourselves on offering while you wait and same day repair services. Once your device is properly repaired, our technicians will answer any questions you may have about preventing future damage or caring for your device. At Experimac Orlando, we take pride in having the best customer service in the business, and will be happy to address any concerns you have before you leave our store. We also offer a 90-day warranty on all our repairs, so if something gets damaged, we will repair or replace the defective part at no cost to you. If your iPhone device has a damaged battery, charging port, or anything else is not functioning properly, bring it in to Experimac Orlando today. We will have it repaired and in working condition quickly and will help to prolong the longevity of your device.